A look at the best sports photos of the year 2016. 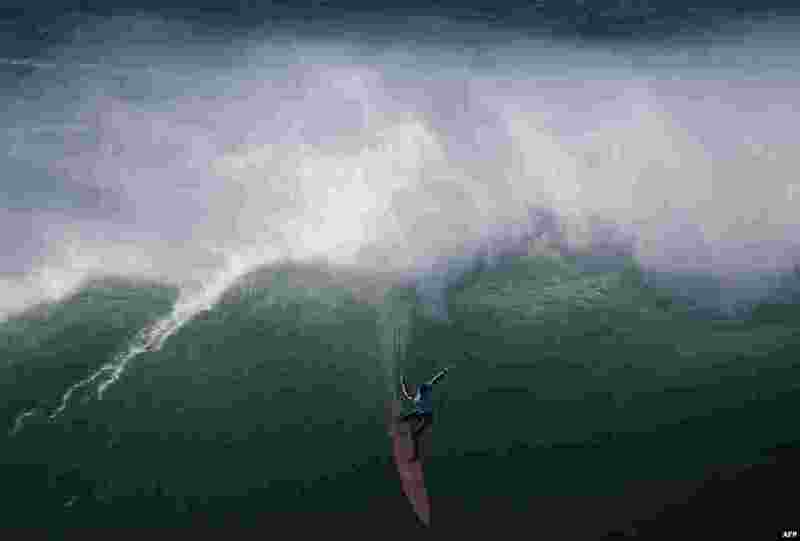 1 American big wave surfer Nic Lamb drops a wave off Praia do Norte in Nazare during the first edition of the World Surf League's Nazare Challenge, Dec. 20, 2016. 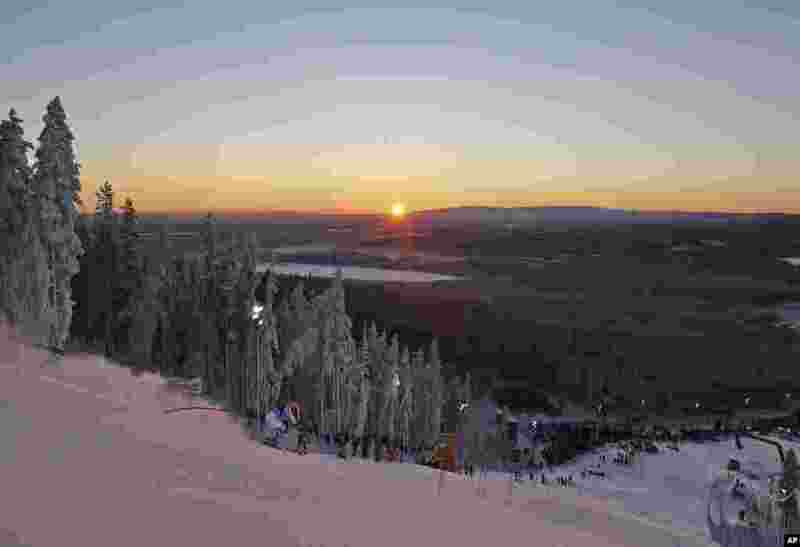 2 Third placed Petra Vlhova competes during the second run of an alpine skiing women's World Cup slalom, in Levi, Finland, Nov. 12, 2016. 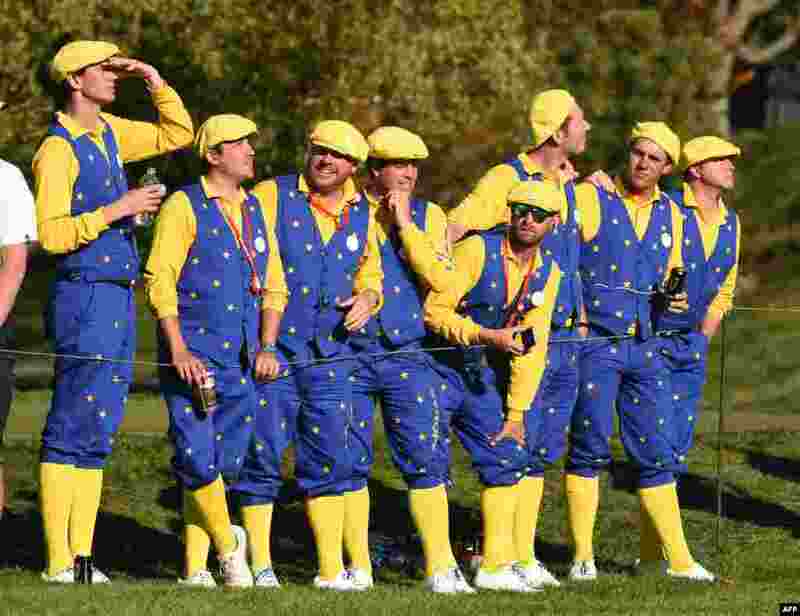 3 Europe Fans look on during the afternoon football matches at Hazeltine National Golf Course in Chaska, Minnesota, Oct.1, 2016, during the 2016 Ryder Cup competition between Europe and the USA. 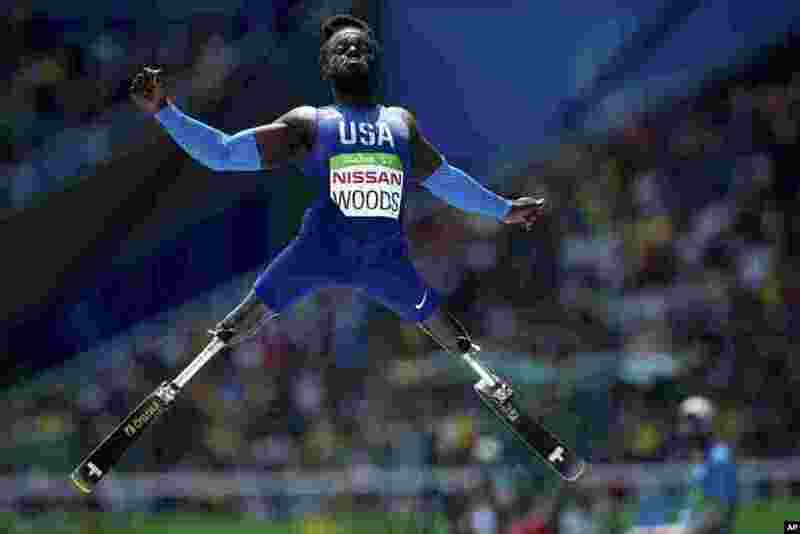 4 Regas Woods of the United States, competes in the men's long jump T42 final, during the Paralympic Games, at the Olympic Stadium, in Rio de Janeiro, Brazil, Sept. 17, 2016.